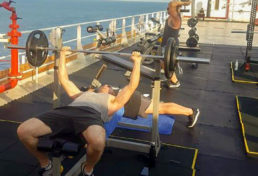 Views from a fitness centre don’t get more interesting than on the POSH Arcadia. 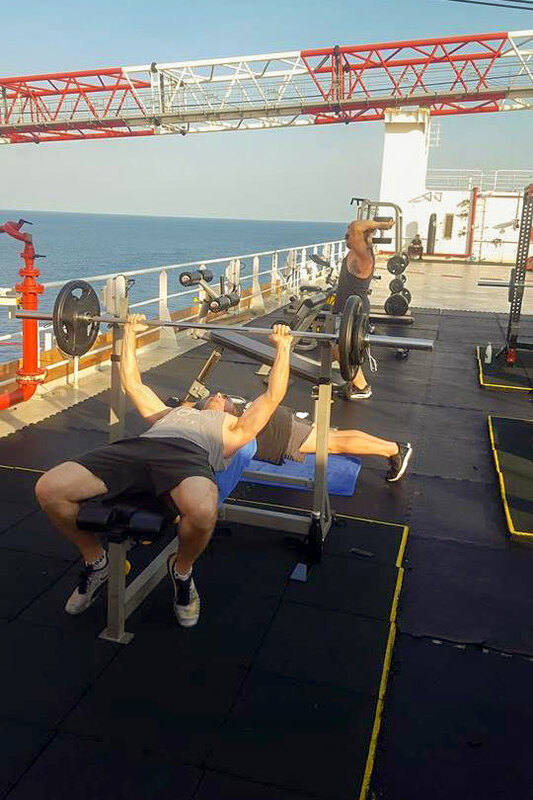 WFR staff get to enjoy the views from one of three fitness centres spread through the Arcadia vessel. 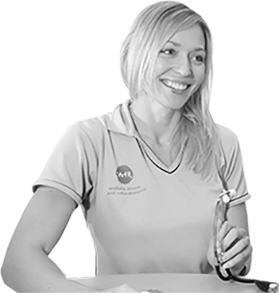 Anthea and Corey are the WFR Exercise Physiologists on site running the Healthy Lifestyle Program, engaging with over 250 staff each month. 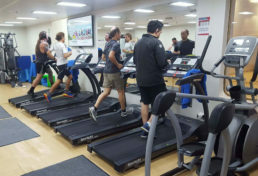 Various health and wellness initiatives are available to all, with great reception from staff to the programs on offer. 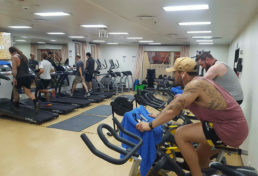 WFR run up to thirteen scheduled group fitness classes a week such as HIIT, Stretch & Flex, Core and Bootcamp. 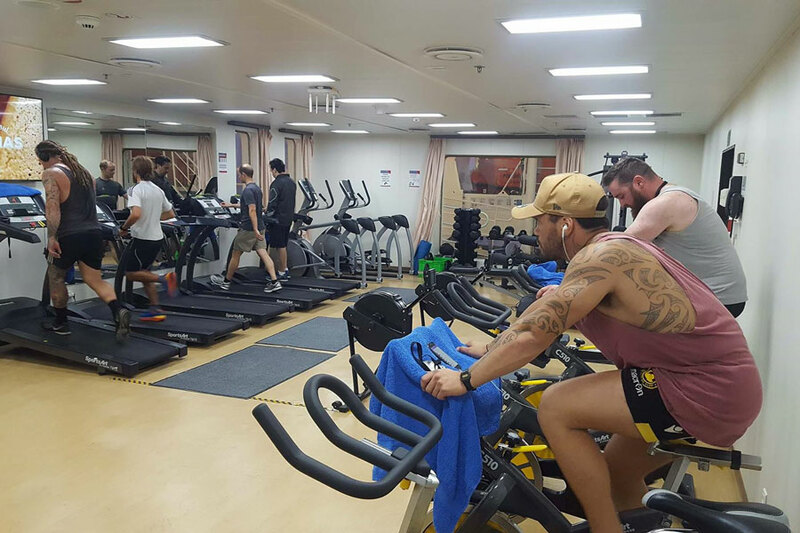 Over 400 of the crew have been inducted through the gym, and many have taken up the option of receiving a fitness appraisal and gym program. 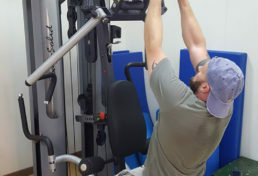 Raising awareness of individual’s health has also been a focus. 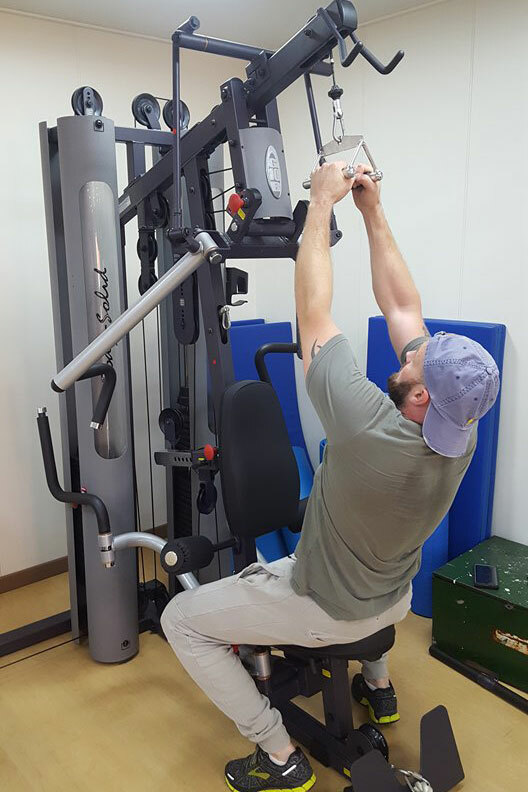 The screening program, Health 100, has had great attendance and assesses an individuals blood pressure, cholesterol, glucose, body mass, and more; followed by a report on their health. 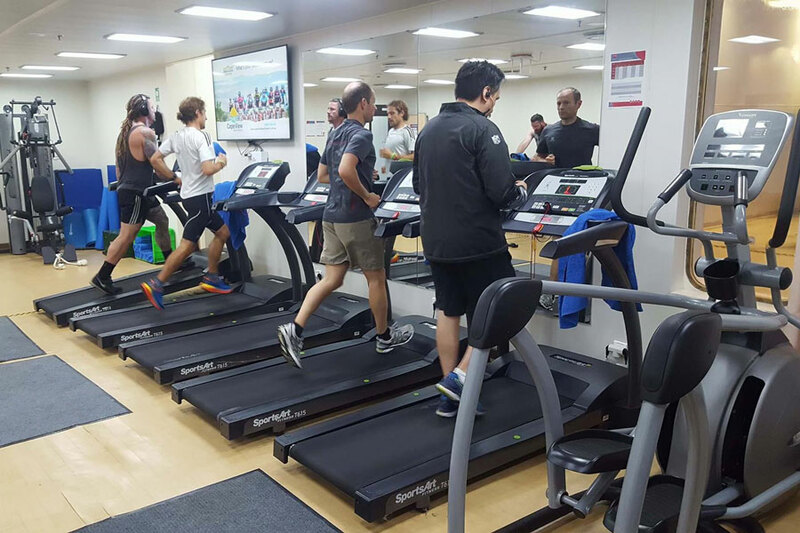 The next step will be presentations at toolbox meetings on a variety of health topics. 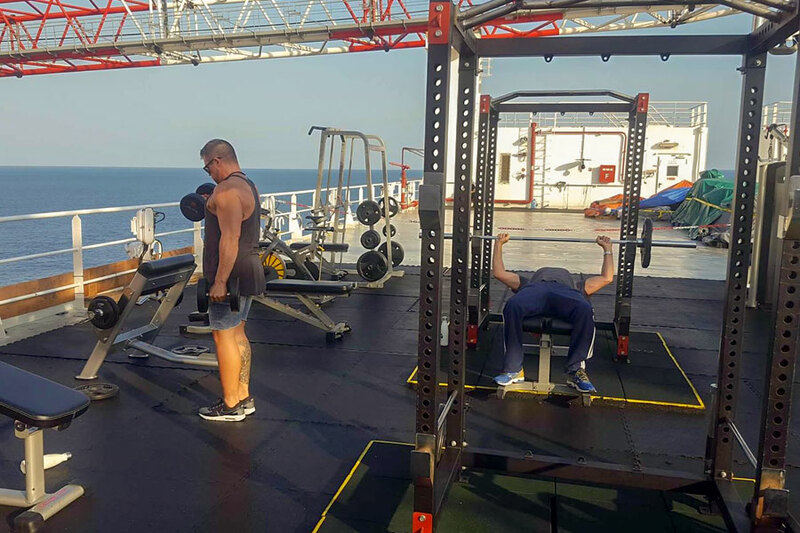 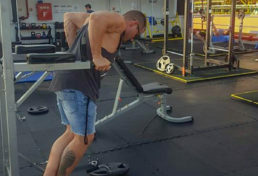 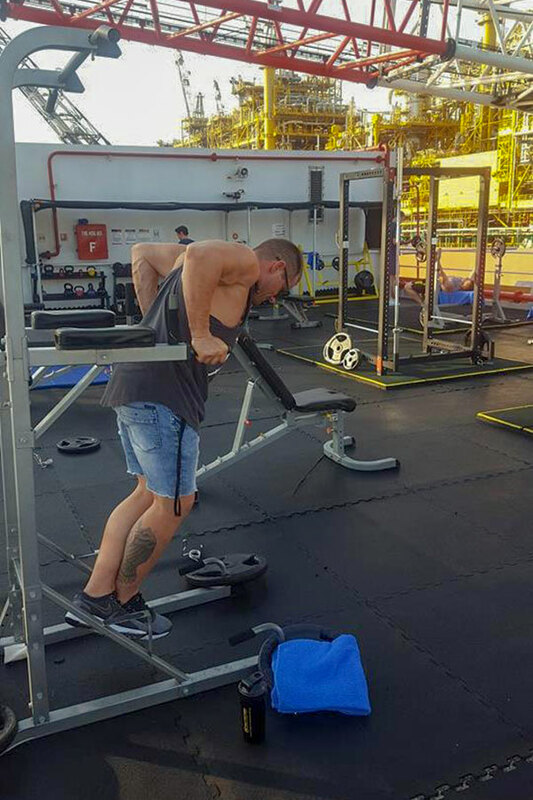 3 gyms in 3 different locations on the vessel is one small challenge that Anthea and Corey easily overcome when ensuring all the crew have access to the health and wellness programs!